You’ve read the articles and heard the news stories about the dangers of prolonged sitting while working. As I mentioned in a previous article, James Levine, M.D., Ph.D., an endocrinologist at the Mayo Clinic, has linked prolonged sitting with obesity, metabolic syndrome, cardiovascular disease, and many other conditions. In fact, he has dubbed sitting as the new smoking. 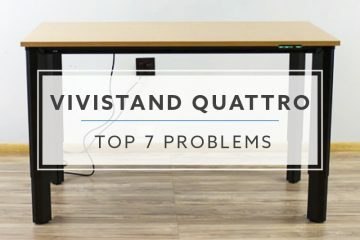 Now that you’ve researched the benefits of standing versus sitting, you’ve decided that a standing desk is exactly what you need to be more productive and healthy. The only thing left to do is to convince upper management to invest in a standing desk. If you want to convince your employer to buy standing desk, you’ll need to prepare for your meeting. It doesn’t need to be a forty slide Powerpoint presentation, but your ideas should be well thought out and presented in a clear manner. 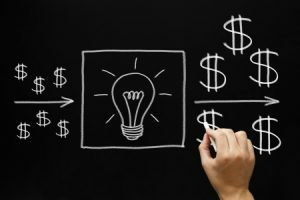 The key is to begin with a focus on how the purchase will benefit the company. Don’t start with a description of the desk features because, quite honestly, upper management won’t care. Their job is to make sure that you have the equipment needed to perform your job and that the company is profitable. It will be a much easier sell if you can tie the investment in a standing desk to the achievement of their goals. There are three main areas that should help you make your case and get the approval – the financial impact, the effect on productivity, and the influence on employee engagement. These three areas are interdependent and combine to improve the company. You just need to show leadership how this is possible. Managers often focus on the immediate cost of purchases when reviewing them for approval. Depending on the decision deadline and whether the expense can be spread over time, they might not consider the long-term benefits and positive impact on the company’s financial performance. Your task is to show them that the “cost” of a standing desk is actually an “investment” toward achieving the company goals. A survey performed by the Gallup-Healthways Well-Being Index showed that 77% of the workers polled had at least one chronic health condition such as asthma, cancer, depression, diabetes, heart attack, high blood pressure, high cholesterol or obesity. The total annual costs related to lost productivity for these workers due to absenteeism totaled $84 billion. The publication, Absenteeism: The Bottom-Line Killer, from the workforce solution company Circadian, reported that “unscheduled absenteeism is a chronic problem for U.S. employers, conservatively costing $3,600 per hourly employee per year and $2,650 per salaried employee per year.” Unscheduled absences in this report include time missed due to sick days, disability, FMLA time, and workers compensation cases. It is apparent that absenteeism is a major source of expense for companies. Many episodes of absenteeism are related to chronic health conditions. Studies have shown that programs designed to improve employees’ health can reduce absenteeism by as much as one-third. Since standing desks reduce employees’ sitting time, they help to reduce the risk for these medical issues. 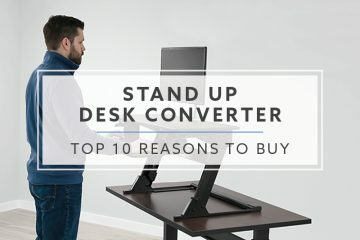 The financial benefit from investing in standing desks includes decreased employee costs from absenteeism, an increase in group medical insurance rates, and workers compensation claims. 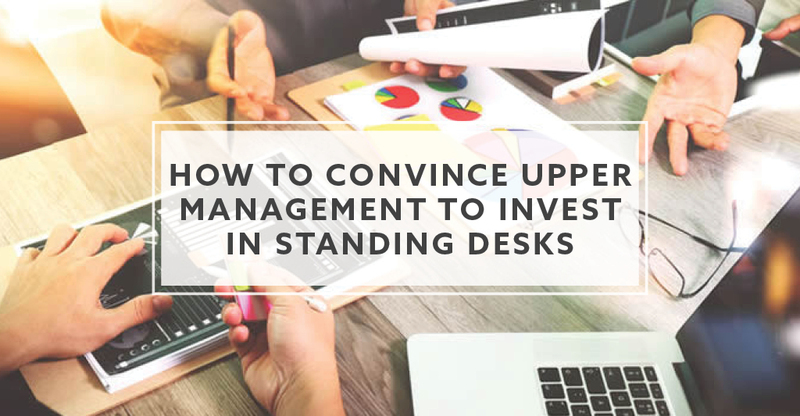 Once you’ve shared the financial benefits of investing in a standing desk, you should discuss the effect on productivity. Several case studies show that using a standing desk improves productivity, creativity, and idea sharing. The Business Insider reported that FF Venture Capital furnished its meeting rooms with standing desks after discovering that standing led to employees more actively sharing ideas. Facebook and Google offer standing desks as part of their employee wellness programs. Facebook has more than 250 staff members using them and they report that the standing desks keep the energy level high in the office. 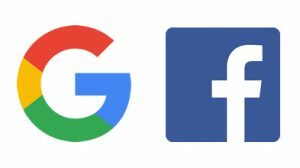 Greg Hoy, a Facebook recruiter, said “I don’t get the 3 o’clock slump anymore, I feel active all day long” in an interview with the Wall Street Journal. 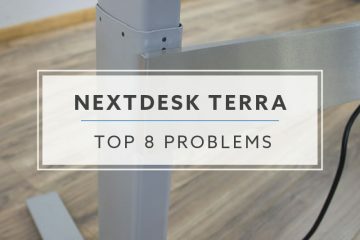 In addition to improving employee health and reducing absenteeism, standing desks can help to improve focus, maintain higher energy levels, and improve concentration during task completion. These benefits result in improved employee productivity. The Gallup Organization has championed the effect of employee engagement on business performance for decades. Gallup’s research demonstrates that engaged employees are happier and more productive. Their studies also show that companies with engaged workforces recovered faster from the recession and have higher earnings per share. Gallup found that strong correlations between employee engagement and performance are highly consistent across different organizations from diverse industries and regions of the world. While studying the differences in performance between engaged and actively disengaged workers, they discovered that groups scoring in the top half on employee engagement nearly doubled their odds of success compared with those in the bottom half. Employees are more likely to be engaged when they feel that their companies care about them. Companies that provide standing desks when requested show that they are concerned for their employees’ health and are willing to invest in their wellness. If you’re trying to convince your employer to invest in a standing desk, it is critical to focus on the benefits to the company first. You should use the effect on productivity and employee engagement to support your ideas. Once you’ve demonstrated that you care about the success of the company, the leadership will be more likely to consider your request. Bud is a physical therapist, writer, and consultant in Baltimore, MD. He has over 20 years of experience working in corporate, private practice, and hospital settings. His clinical background includes orthopedics, sports medicine, pediatric orthopedics, and manual therapy. He has written on topics of health, wellness, personal development, and practice management for blogs and a national industry magazine.